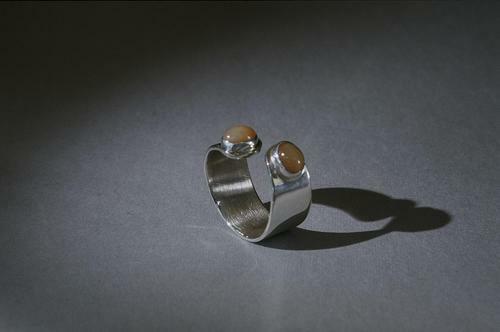 Sterling Silver Twist ring with 2 peach moonstones! The open design is handy for those of us who have trouble getting rings over our knuckles! 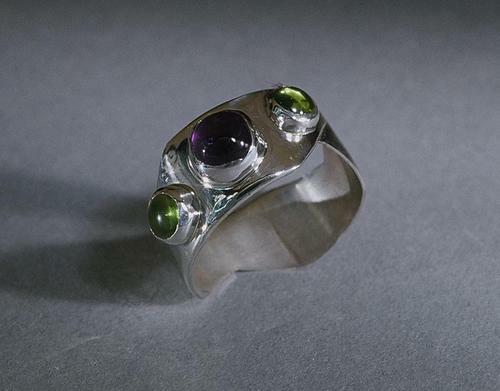 Sterling silver, amethyst and peridot combined to create a beautiful contrast. The band is carefully carved out for a little variety!